On 3rd November 2018, Tokyo sees a green finance symposium which will mark the launch of the Green Finance Network Japan (GNFJ). The GFNJ will take on the role of putting Japan amongst the select group of nations who have undertaken green finance initiatives to review and examine options for reform of their financial systems. This list includes the EU High-Level Expert Group on Sustainable Finance (EU HLEG), which has morphed into the Technical Expert Group (TEG) -with Sean Kidney amongs its members- the UK Green Finance Initiative (GFI), Hong Kong Green Finance Association (HKGFA), and the Canadian Expert Panel on Sustainable Finance, that has just released its Interim Report, and mulitlateral engagements like the Sustainable Banking Network (SBN) that just published the ‘Creating Green Bond Markets’ report, a joint Climate Bonds and IFC production. The high-level taskforce has taken on the commitment to dynamize Japan’s finance market towards greater green focus. Some of the first green bonds sprouting from Japan were the environmentally-themed ‘Uridashi’ bonds (being very popular among secondary market and retail investors). 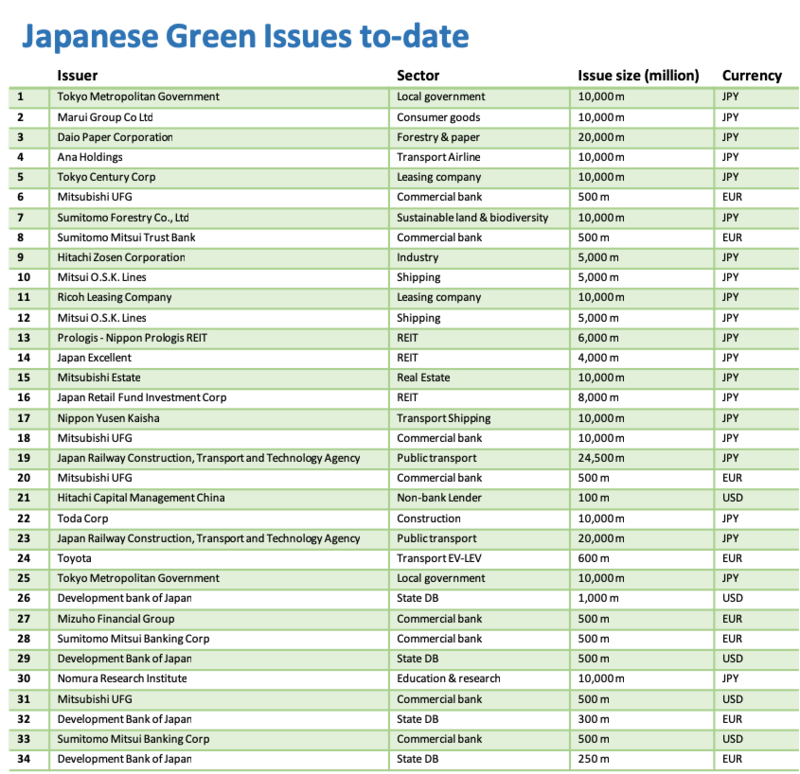 Japan is also a source of green issuance across a number of sectors with listings on foreign exchanges notably the German, Luxembourg and Singapore bourses. The Japan Exchange Group (JPX) has one sustainability-themed listed issue by Japan Investment Cooperation Agency (JICA), released earlier this year. The use of proceeds are dedicated to projects around the world promoting peace, stability and prosperity in the international community addressing JICA’s goals of promoting socio-economic development in the developing world to help achieve the SDGs. In 2017 Japan ranked 11th in the world with USD3.3bn issued and at the end of Q3 2018 Japan ranked 13th in the world with USD2.2bn issued. 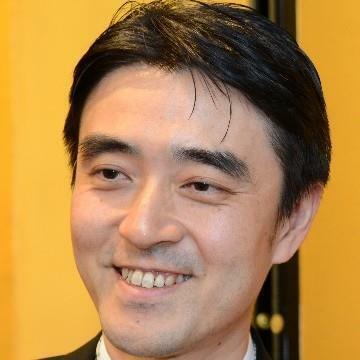 Mr. Hideki Takada has shared the initial aims of the GFNJ and details of an impressive list of members from government, DFIs, financial heavyweights including Mitsubishi UFJ Financial Group (MUFG) and Mizuho Securities, academia and the OECD. The JPX has mainstreamed sustainability into their objectives and have setup initiatives to support listed companies in adopting ESG practices. Similarly, the Ministry of Environment, Japan (MOEJ) set up Green Bond Guidelines in March 2017 to facilitate issuance however, the on-shore market, like most of global finance, still has a long journey ahead. Follow this space for more developments on GFNJ.